The small, compact Mazda2 is back for 2014 with its expressive styling, user-friendly technologies and top-notch handling. Three new exterior paint options join the color palette for 2014, Zeal Red, Jet Black and Blue Reflex, but outside of the small additions, the hatchback enters the new year unchanged. The Mazda2's fuel-efficient four-cylinder engine continues to be a highlight on the vehicle, thanks to its fantastic EPA ratings, and its strong, reliable safety features also impress buyers throughout the country. With all of these standout components and an affordable price tag, the compact hatchback is a must-see and a must-have. 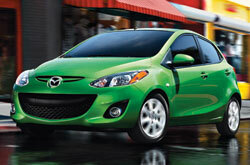 Read on to discover additional details about the 2014 Mazda2 in Houston, then continue down for more information. If you're in the market for a compact car with great fuel economy, the 2014 Mazda2 is a great option. Producing 100 horsepower and 98 lb.-ft. of torque, the hatchback's 1.5L inline four-cylinder engine, noted in several 2014 Mazda2 reviews, is dependable and comes with the choice of a four-speed automatic or a five-speed manual transmission. Both configurations receive sufficient EPA ratings and decent acceleration times. However, the manual transmission features faster acceleration and better fuel economy, a plus for Houston buyers who prefer to drive a stick shift. One area where the Mazda2 doesn't hold back is safety. Each brand-new model comes equipped with traction control, stability control, antilock brakes, lower anchors and tethers for children, tire pressure monitoring, front seatbelt pretensioners, front airbags and side airbags. It also has a "Triple H" construction, which produces a firm body structure that can absorb impacts. Packed with these components, the 2014 Mazda2 in Houston is safe and secure for drivers and passengers. The 2014 Ford Fiesta, Honda Fit and the Kia Rio are outranked by the 2014 Mazda2 in many areas. If the Mazda2's passenger-oriented incar technologies and superb design don't convince you that it's the best vehicle for you, we're sure its affordable price will. For Houston Mazda customers who want a fabulous value, just compare this vehicle's price to the vehicle options listed above and you'll see that it's a rock-solid investment. 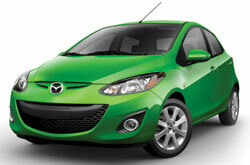 For more details about what it offers, check out the Mazda2's quick-facts list under this text. Thank you for reading Joe Myers Mazda's 2014 Mazda2 review! Our reviews are recorded by expert automotive critics. 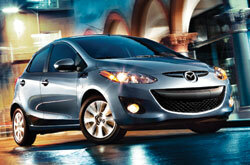 It is a resource we like to provide as one of Houston's prominent Mazda franchises. To make smart decisions when it comes to your next Mazda purchase, don't guess! Each section is jammed with material, including info about vehicle features, in an easy-to-understand page layout. Not sure if the Mazda2? is a fit for you? 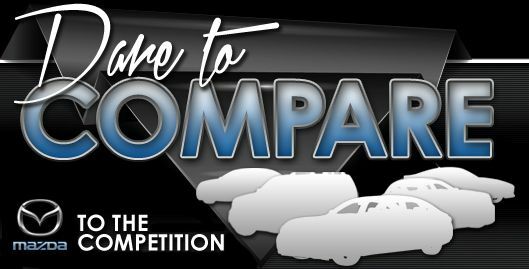 Check out our online research index to read more Mazda reviews and to compare Joe Myers Mazda's models to vehicles from other carmakers.